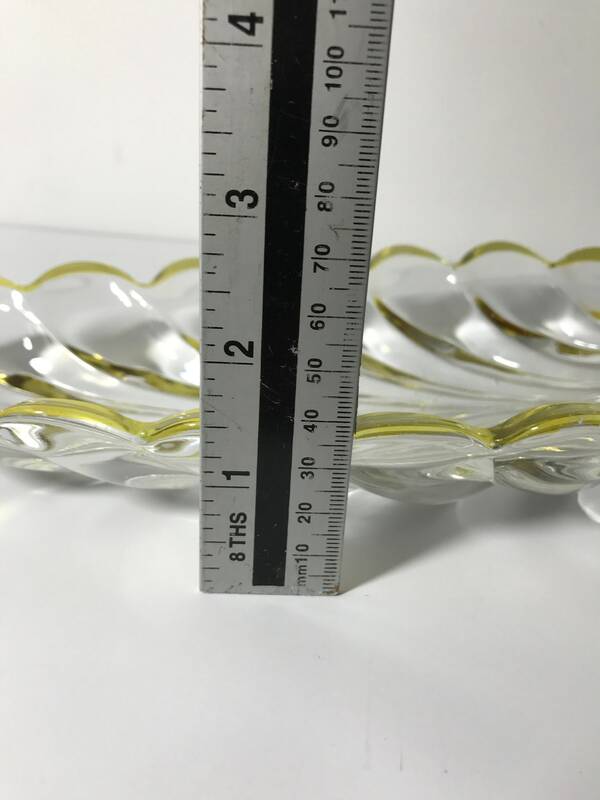 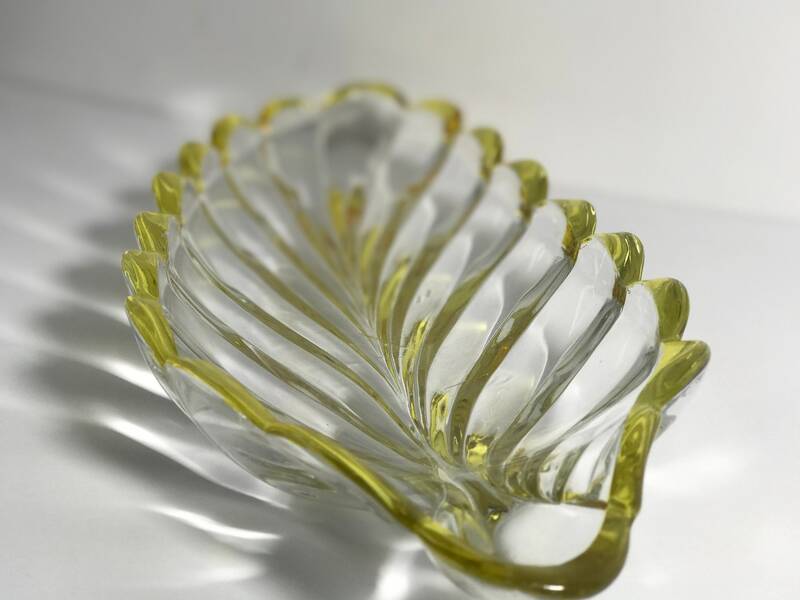 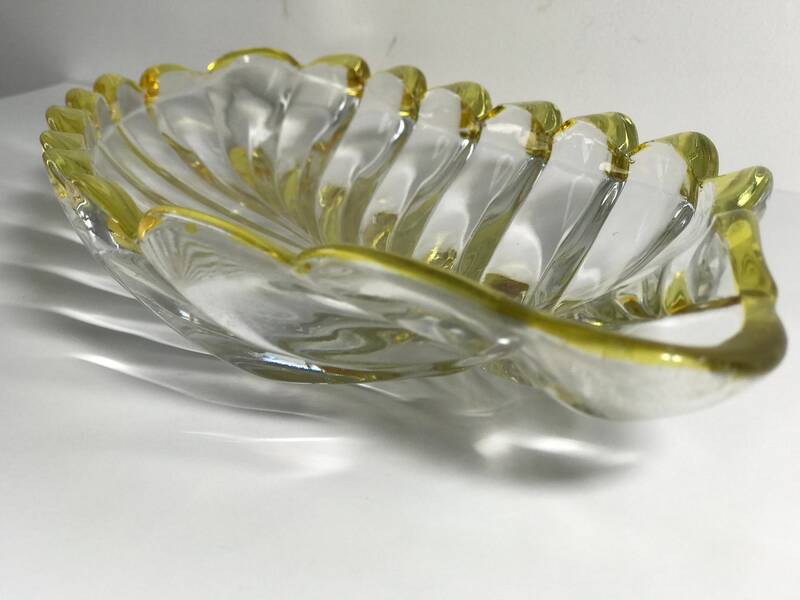 Are you a collector of art glass or a funky looking fruit bowl for a table centerpiece? 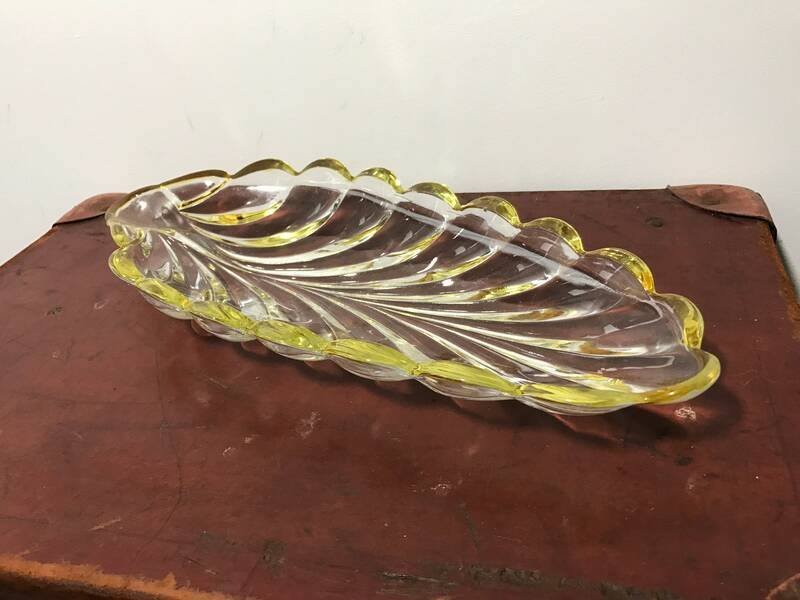 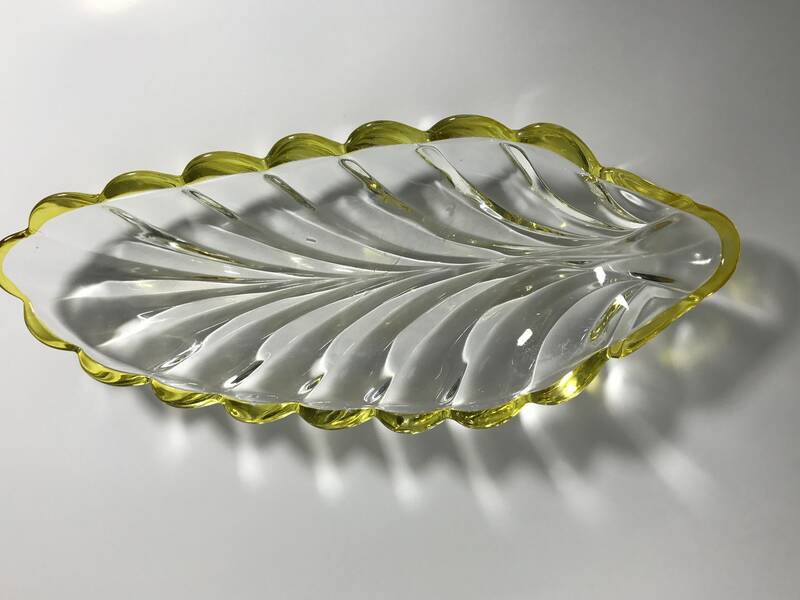 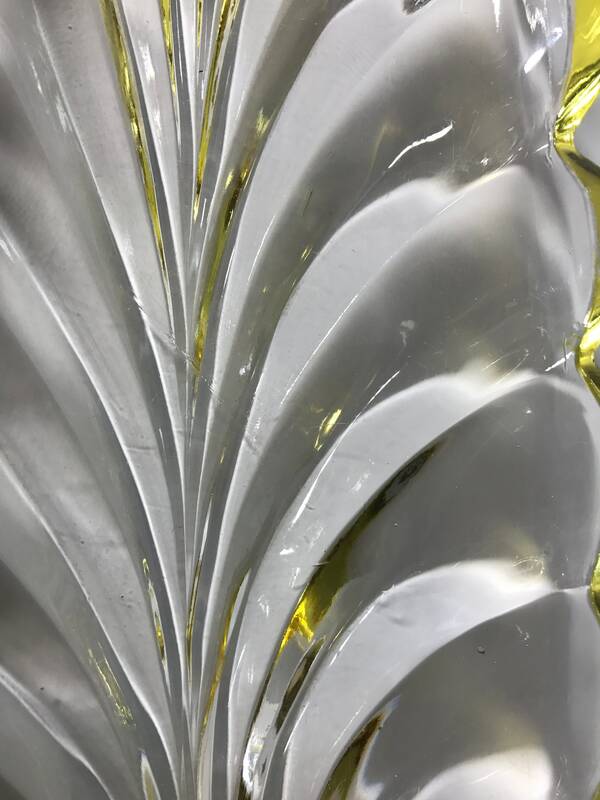 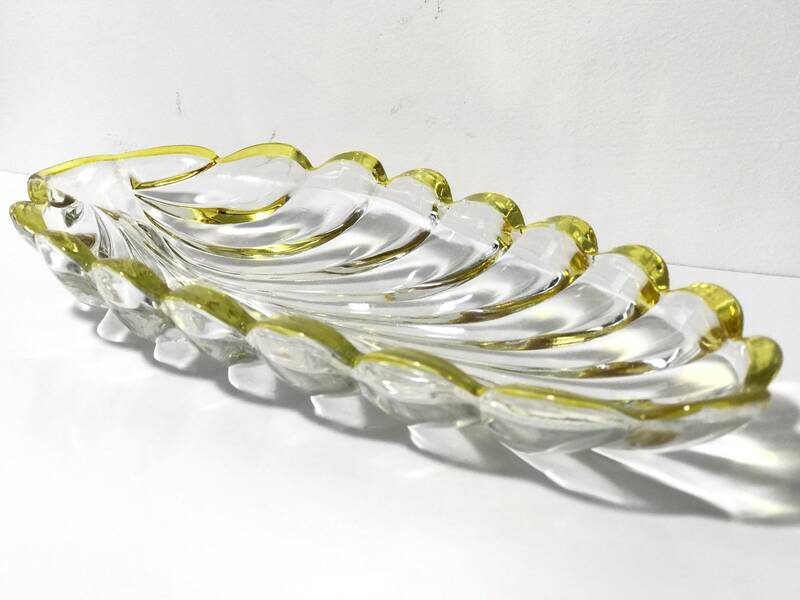 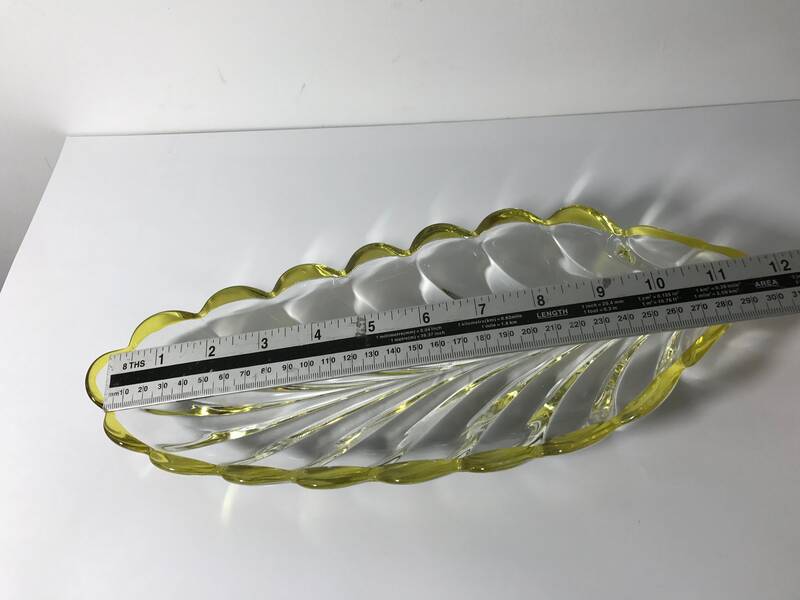 Then this is an eye-catching item with a lovely ribbed leaf shape, quite unusual and a shaped in a lovely way which can be used as a fruit bowl, an ornament or fill with potpourri candy, trinkets or keys. 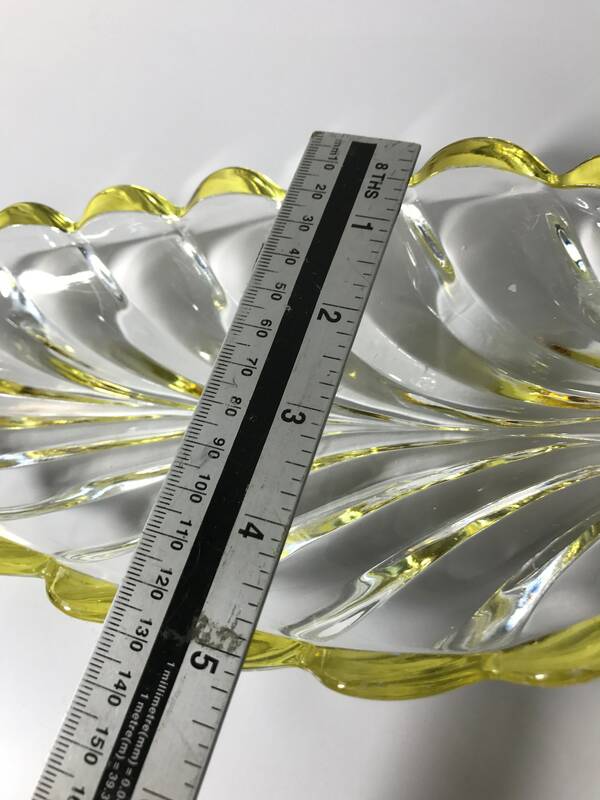 Approx measurements: H11.5" x W5" x D 1.5"
No chips or cracks, some age scratching to bottom of bowl.